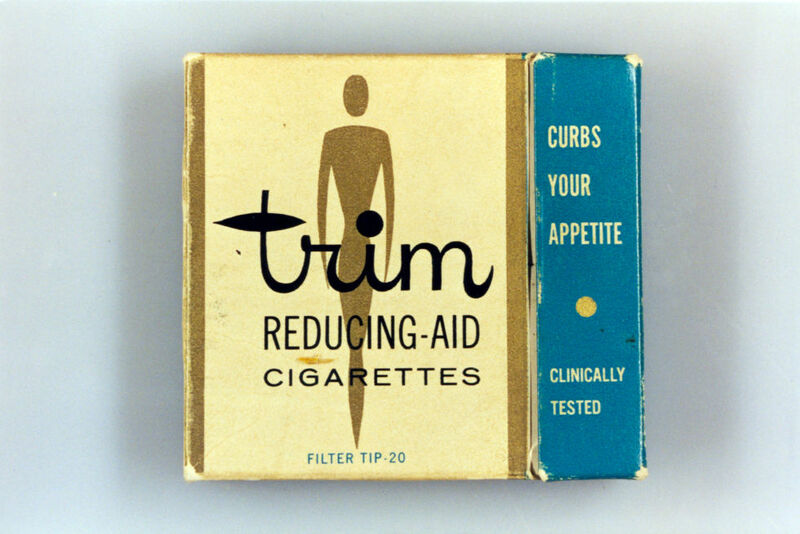 From tape worms to arsenic, there's been no shortage of diet absurdity over the years. 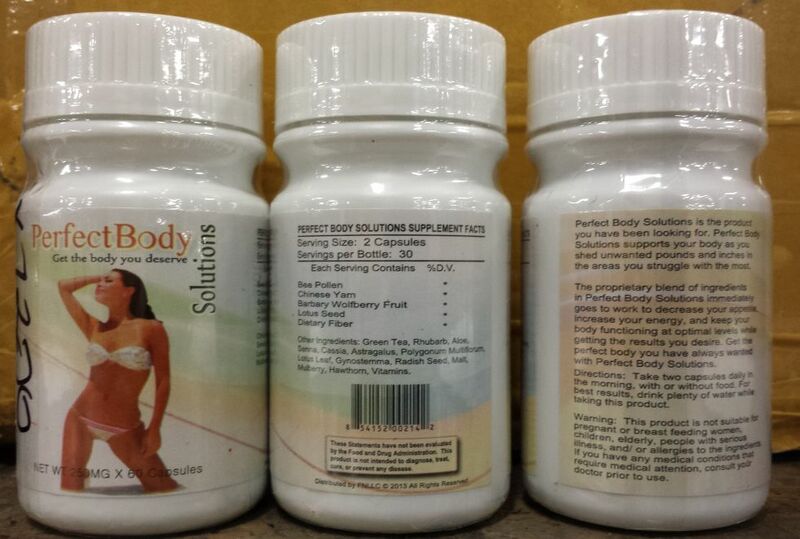 Since it was founded in 1906, the Food and Drug Administration (FDA) has worked to keep us all safe, particularly when it comes to putting a stop to the production and sale of fraudulent weight loss and diet products, many of which, have made headlines for their dangerous side effects. Here are some of the most notable diet scams and schemes, some of which you may remember (or hey, maybe even fell for at one point). 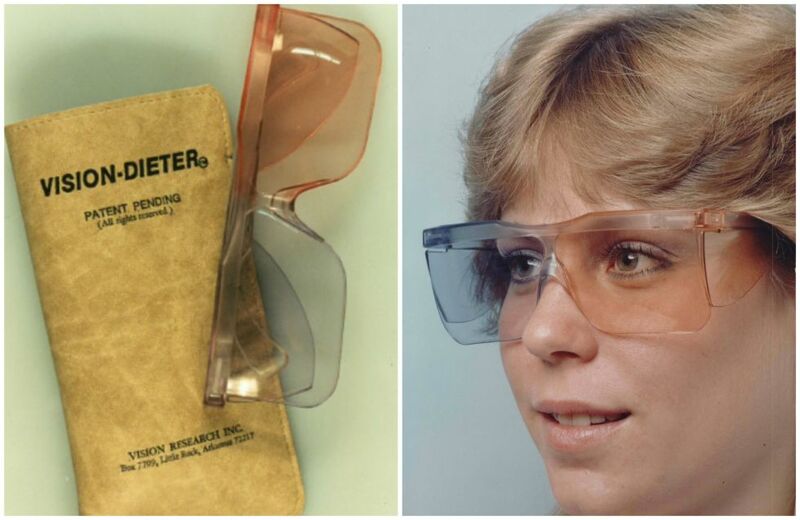 The Arkansas-maker behind these 1970s glasses claimed these funky shades helped users lose weight in two ways: First, shoppers would be less likely to buy food in colorful packages because they couldn’t see the eye-catching hues. Second, the blue and brown shades allegedly contained a “secret European color technology” that would help squash hunger pains throughout the day. Yeah, not so much. 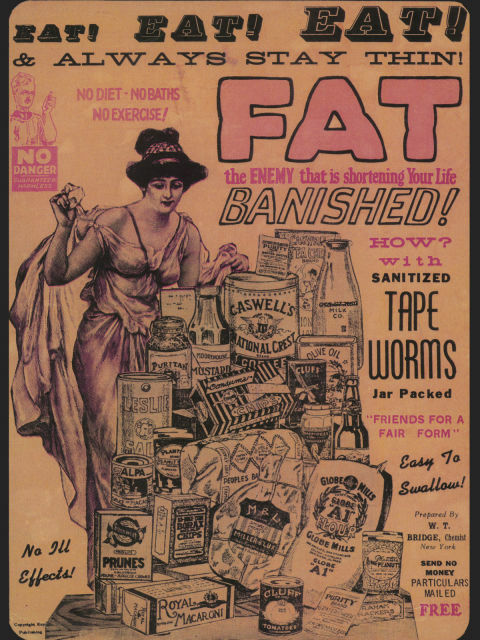 Many women in the 20th century used these “jar-packed, easy to swallow” tape worms to lose weight while continuing to eat whatever they wanted (eek!). While these parasites can cause weight loss, they can also cause a slew of other health problems including bacterial infections, abdominal pain, weakness, diarrhea, and more, according to Web MD. Not quite worth it, huh? Starting in the 1950s, these jiggling machines were marketed to help both women and men lose weight, according to Men’s Fitness. Variations of this machine are still sold today, according to the Huffington Post, but there’s no proof that they work. Since the late 1800s, weight loss pills have lined shelves in American stores, but before they were closely monitored by the FDA, manufacturers created them using arsenic, strychnine, amphetamines, and a variety of other toxic or addictive substances, according to BBC. In 2011, the FDA banned HCG diet products and pills, which can mess with your hormones levels, ovaries, and thyroid gland. Next articleWhat’s the Truth About Apple Cider Vinegar When It Comes to Weight Loss?